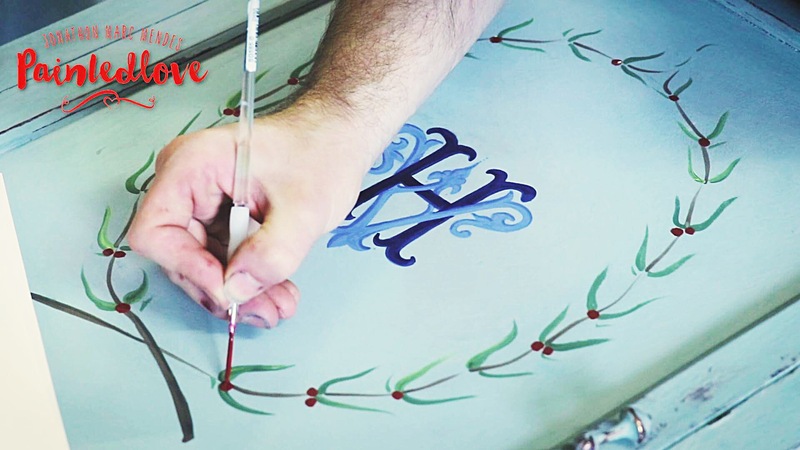 Hand-painted furniture – first glimpse of my famous leaves and berries! 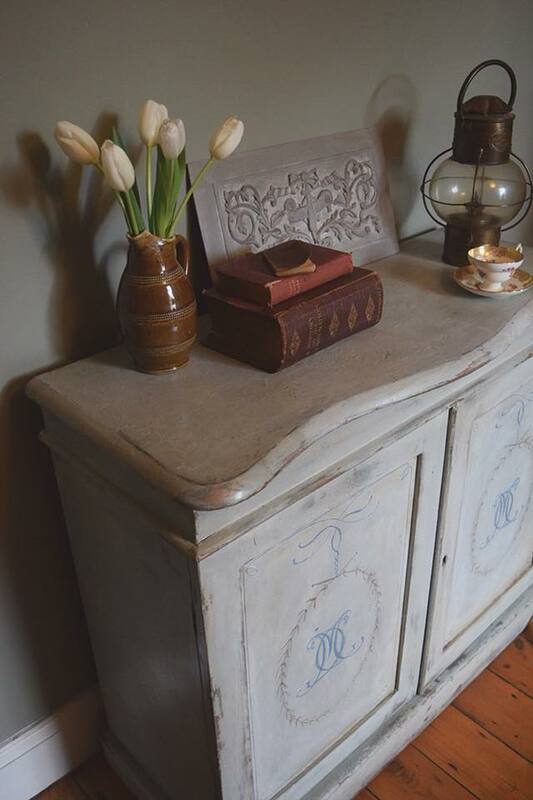 A couple of weeks ago I had the pleasure of catching up with one of my dear friends who happens to live with one of my very early pieces of hand-painted furniture. 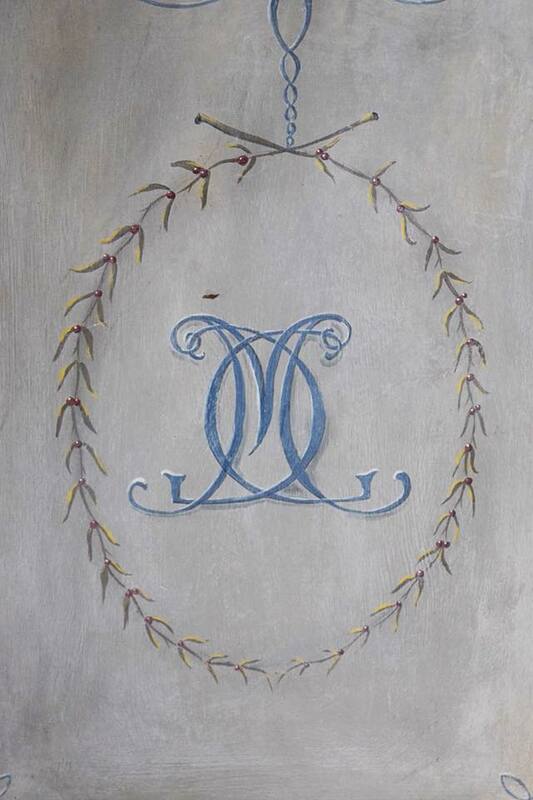 It was the first time I tried to create a monogram and wreath effect on a piece of furniture. This is exactly what I teach on my Hand-Painting Masterclass in my Painted Love Academy. So while I was visiting, she was kind enough to allow me to take a few pictures of how she had styled my piece in her own home. I thinks she had done a wonderful job…..what do you think? 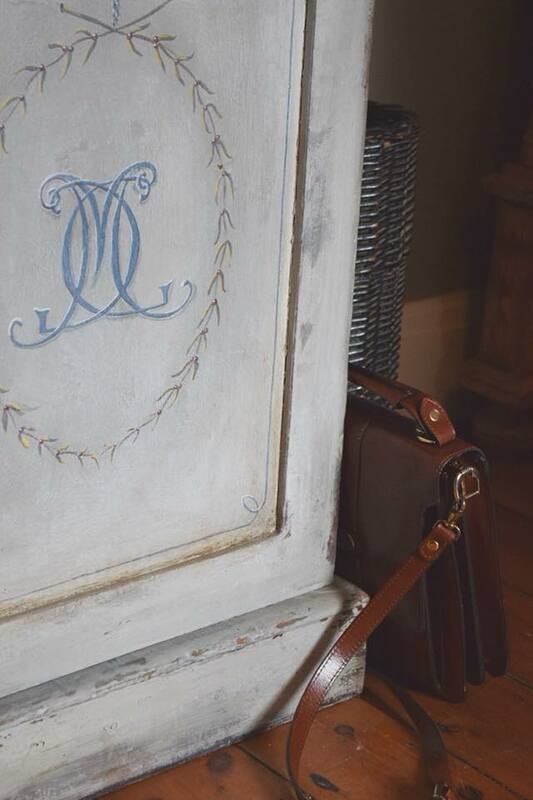 If you would like to learn how to add this appealing monogram design to any of your own pieces of furniture then why not sign up for my Hand-Painting Masterclass? I loved filming this tutorial as we got some really good close and detailed shots of the brushstrokes I make, so you get a feel for how to hold and move an artistry brush and how to control what you want it to do. Learn how to load it with paint, how to create smooth and fluid strokes, how to get highlights on your juicy berries. Plus there’s some simple hacks and cheats that help even the least steady of hands to create the most perfect results! My Hand-Painting Masterclass is in the sale so why not treat yourself today. Like many of my students, including lovely Lori, from Kansas below, you might be glad you did! Previous Post I have been picked by Jennifer Allwood as her rockstar painter for August!